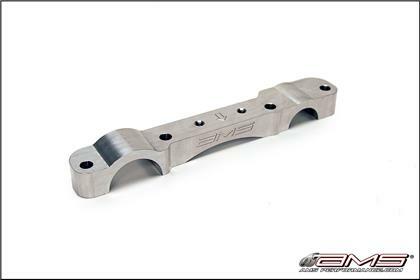 We designed the AMS Performance Mitsubishi 4B11 Cam Cap after a number of reports from customers of the OEM piece cracking. This can be a potentially expensive predicament due to the fact the OEM cam cap is not sold separately from the stock 4B11 cylinder head. In the past, customers have found that in order to replace such a piece, the entire cylinder head would need to be purchased from Mitsubishi. AMS now offers this 4B11 cam cap as a perfect solution to replacing the original without having to purchase the entire cylinder head. The billet aluminum cam cap is CNC machined, etched with the AMS logo and designed using SolidWorks CAD software.